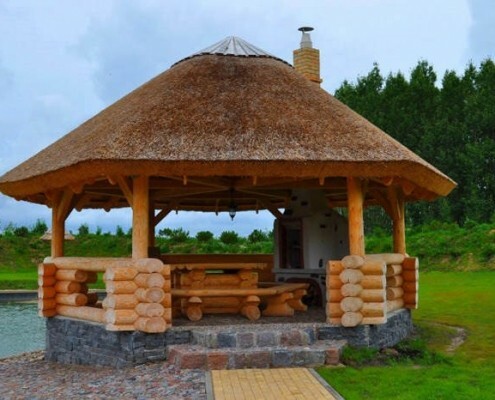 We offer a variety of log building constructions and renovation: houses, bathhouses, summer houses, horse stables, pergolas, garden furniture, log stairs, round ceiling beams, hardwood bulky design and etc. 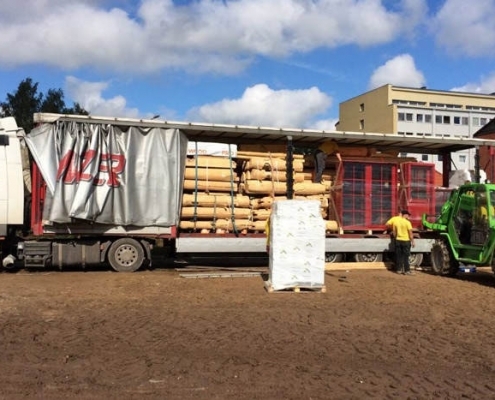 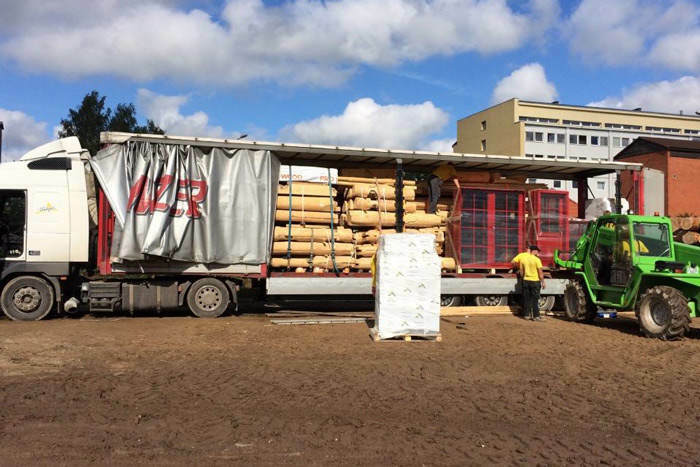 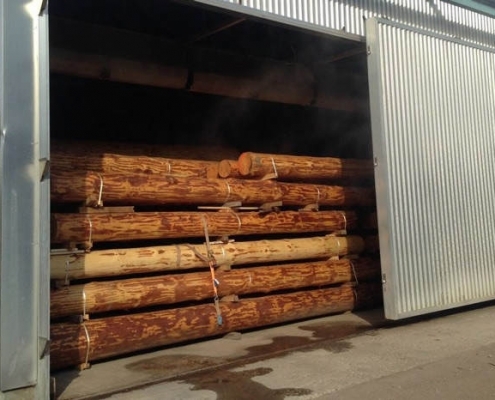 For log manufacturing, only barks are removed without infringing the natural protective layer, they are treated with remedies and dried to 20% moisture. 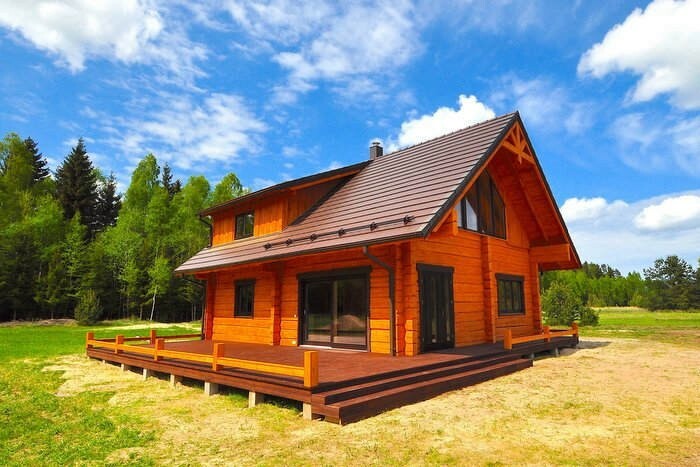 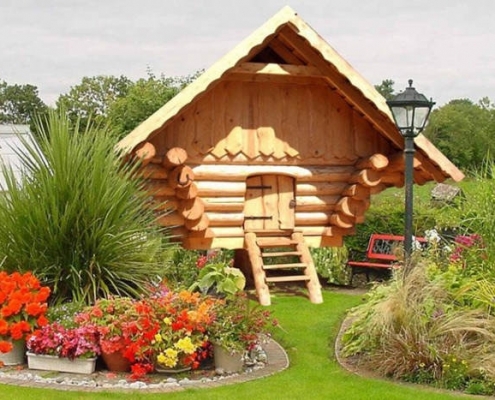 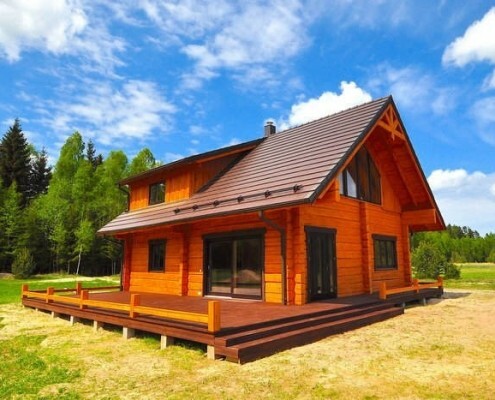 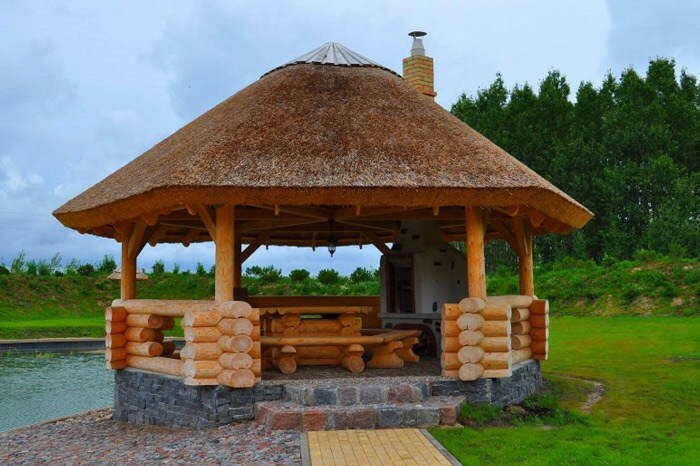 Log houses are built of dried pine tree logs from 20 up to 50 cm in diameter. 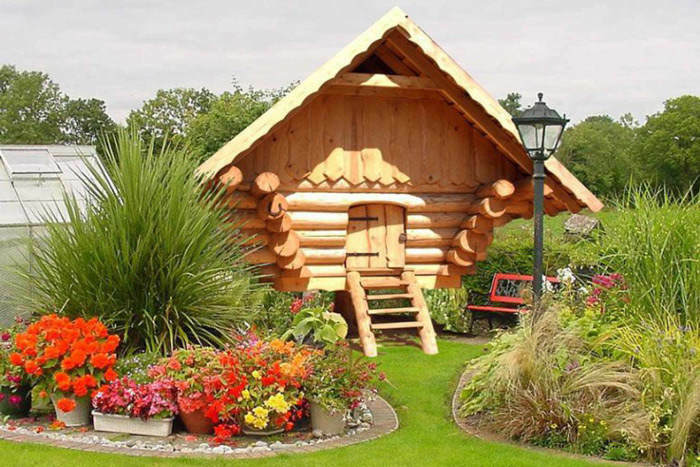 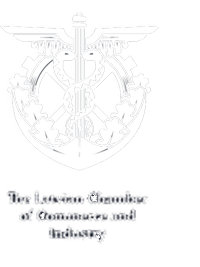 Work is carried according to Your ours or individual project taking into consideration all the wishes of the client. 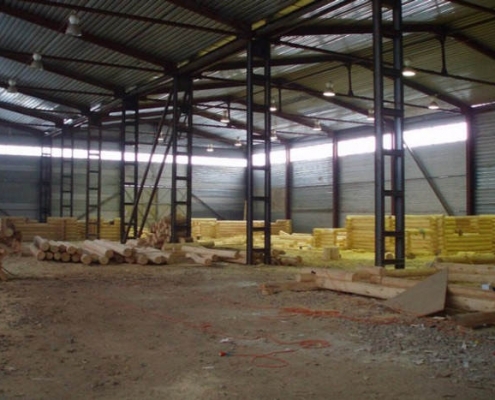 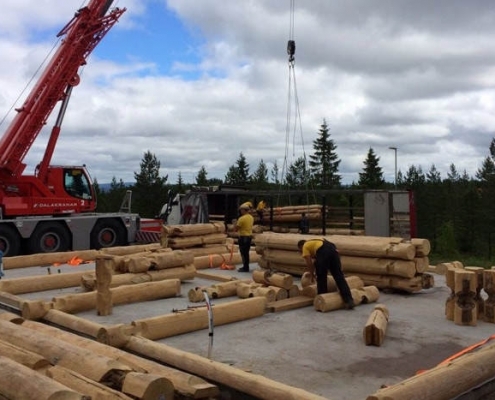 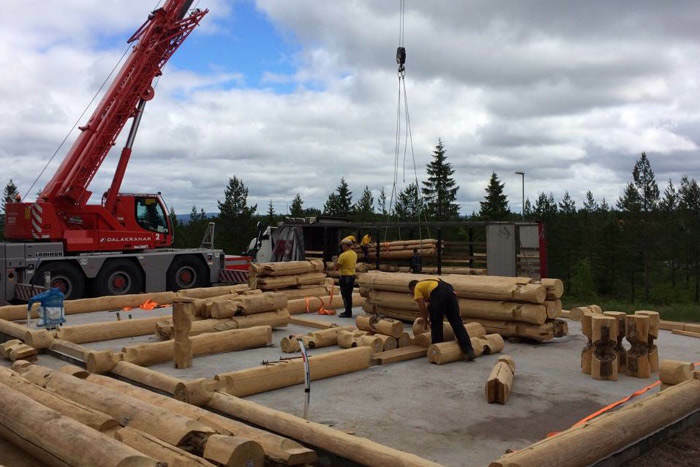 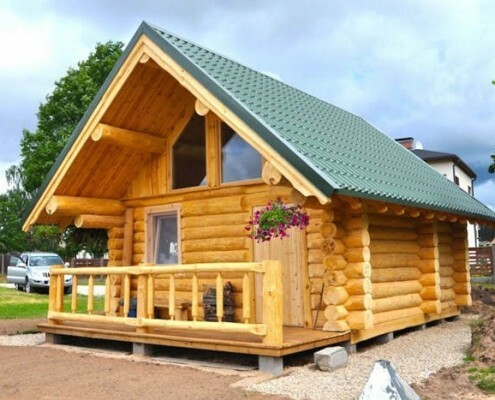 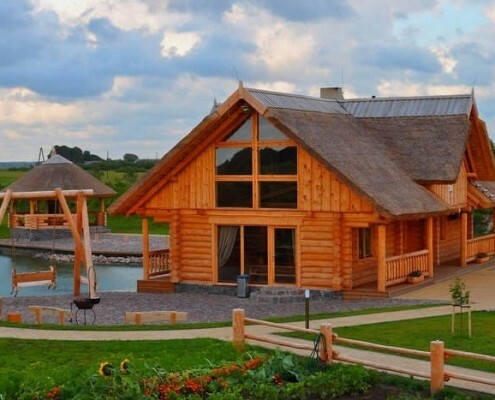 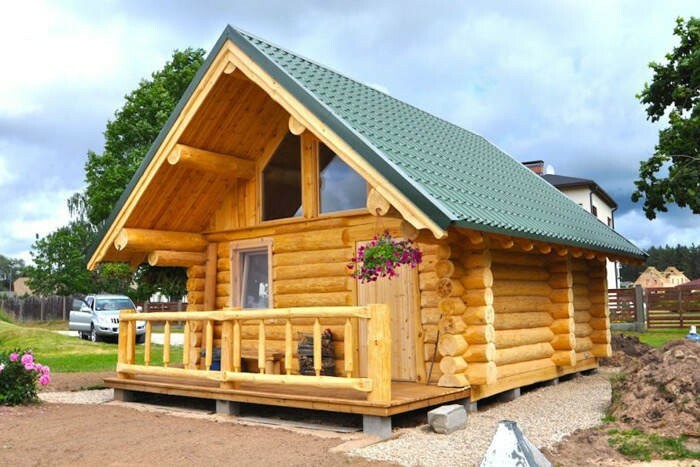 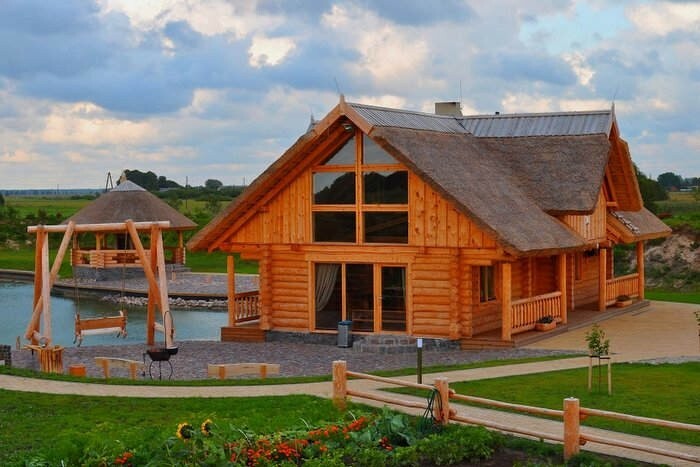 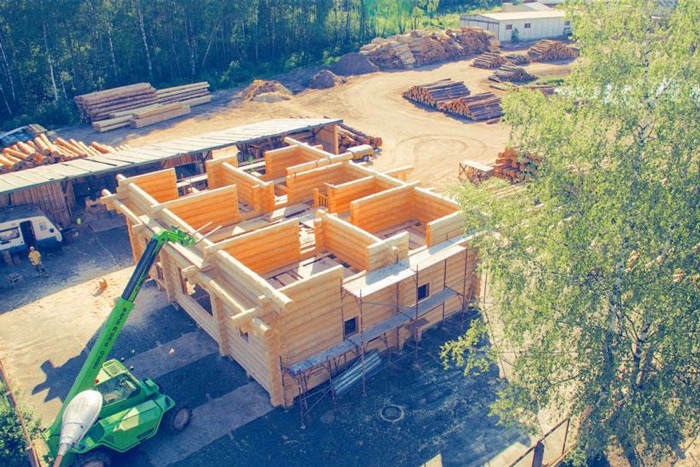 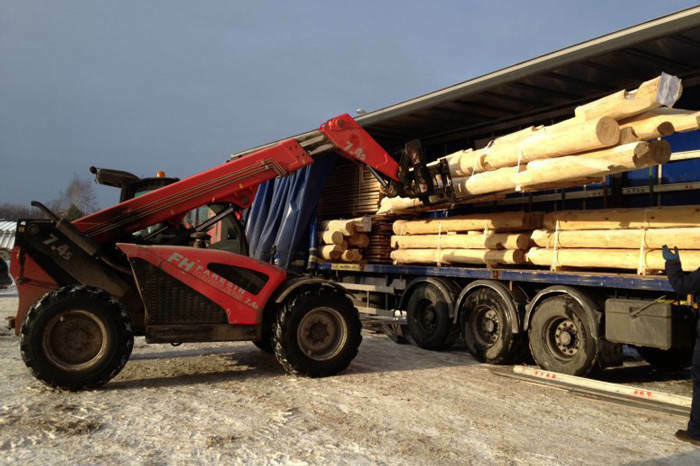 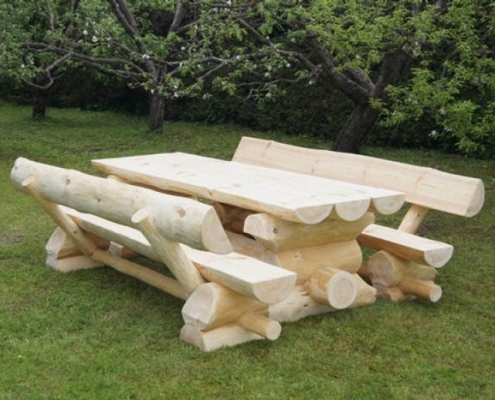 We offer not only high quality log houses but also supply and installation of the facilities. 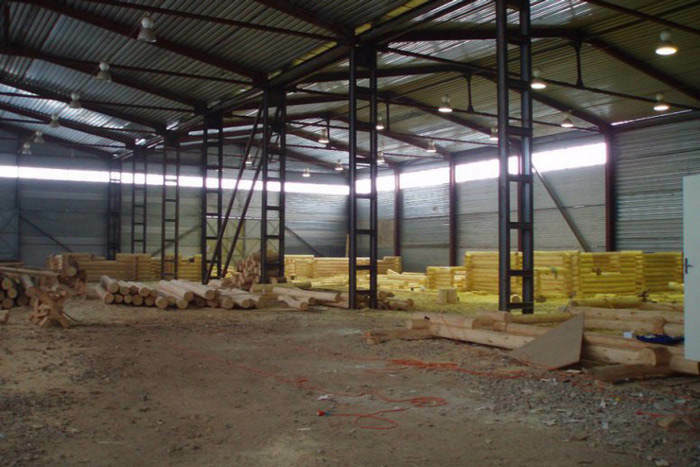 If necessary, we will install bases for the roof, provide engineering services and will carry a full scope of work. 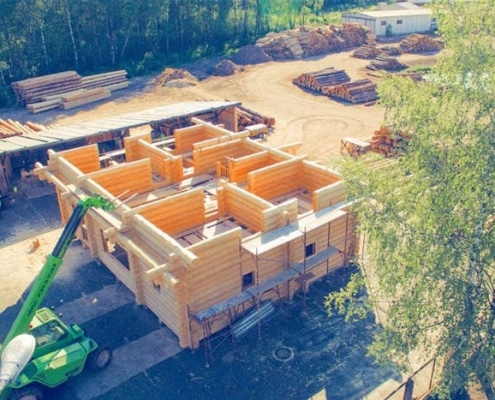 We offer log design, 3D visualizations, independent construction expertise, construction quality inspection, technical construction supervision, construction project management, cost estimates and the development of its analysis. 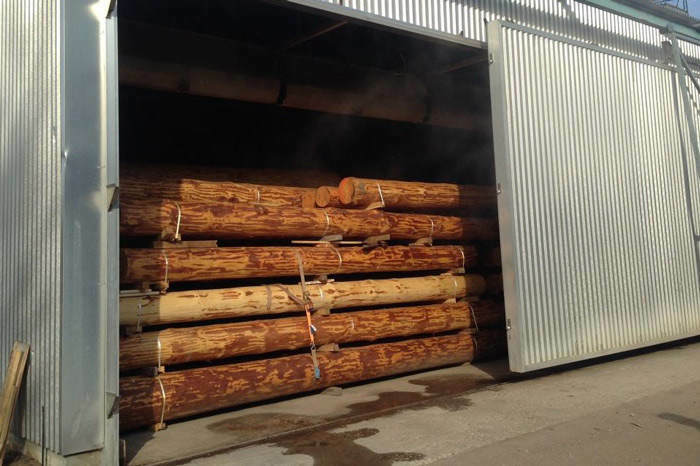 We offer only high quality log. 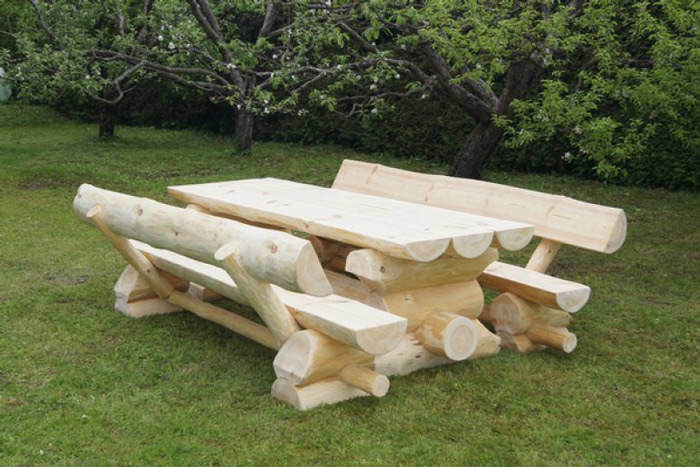 Centuries-tested handmade: Norwegian, Russian or Canadian style. 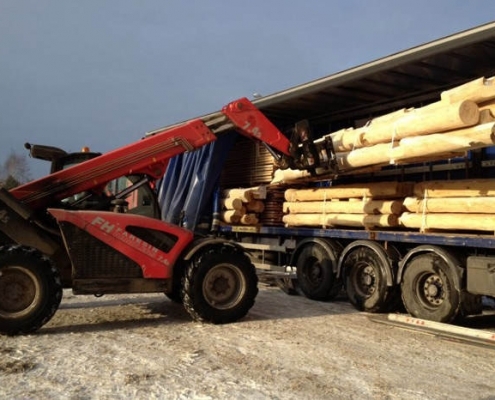 Ancient traditions combine modern technology and assure you of high quality throughout the log settling time.